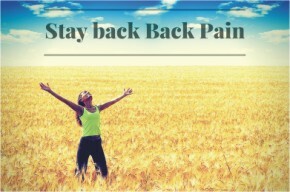 Nowadays people are struggling with back pain more and more. It has become one of the most common and usual problems people are having concerning their health. Back pain is something that we all had at least once in our lifetime. So, we have to be concentrated on staying healthy and doing as much as exercises as we can so we could prevent the annoying pain. One of the most commons signs of back pain can include muscle ache, limited flexibility, pain which can be emitted down to your leg, shooting or stabbing pain. If you are having problems with lower back pain they can be connected to your spinal muscles, nerves, bones, degenerative disc disease, etc. High temperature, a swelling, pain in your chest, feeling the pain when you lay down, bladder problems are all symptoms which can be very serious and you most certainly should visit a doctor. One of the most common types of pain that we feel concerning our back is actually the lower back pain or lumbago. If you are experiencing a dull pain or a stabbing sensation which makes you hard to move or even stand up straight than you definitely should see a doctor. It can be cause by a slipped disc, whiplash (a neck injury), frozen shoulder, sciatica. Sciatica is a type of back pain that can be caused by heavy lifting or exercising too hard so your muscles become strain. However, if a ruptured disc is involved which presses the sciatic nerve, pain can even go down to your leg. Spondylitis is one of that which refers to chronic back pain due to intense inflammation of the spinal joints. Muscle aches which also include back pain can lead to fibromyalgia. And last but not least is spinal stenosis when there is a narrowing of the space around the spinal cord and putting the pressure on the spinal nerves. Although you love your job and you need it, but if it involves heavy lifting, pulling it can actually damage your spine and it can contribute to back pain. 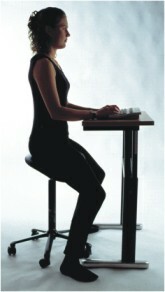 Also, sitting at a desk eight hours or even more can also be very damaging, so you would have to find an alternative. You may not know this, but any kind of a bag- from purse to backpack can be harmful because it includes additionalweight on your back, so try not to carry a heavy load. “Stand up straight!” You’ve probably heard it a hundred of times. Well you have to keep weight evenly balanced when you are standing and when you are sitting you have to keep your shoulders back and have a good lumbar support. You’ve probably didn’t think of it as a problem, but huge breasts can cause back pain as well. It can even cause scoliosis, and in the most severe cases the best option is to havebreast reduction surgery. Firstly you should visit your doctor as you already know. Secondly, great exercising and training such as yoga can really help you especially because it contains a lot of stretching. Chiropractors use spinal manipulation by pressuring with their hands bones and surrounding tissue on your lower back. Massage can relieve the pain particularly if it is combined with exercising, but it also has to be done intensively depending on the amount of pain. Physical therapy is really great and it can help you strengthen your muscles and getting back into shape. Everything from stretching and strength exercises may help you be fitter. We should all keep an eye on our posture, exercising, job and everyday activities because our back can actually really suffer. Don’t forget to stretch a bit before you do your training, to stand up straight and not to do heavy lifting and you will feel great.